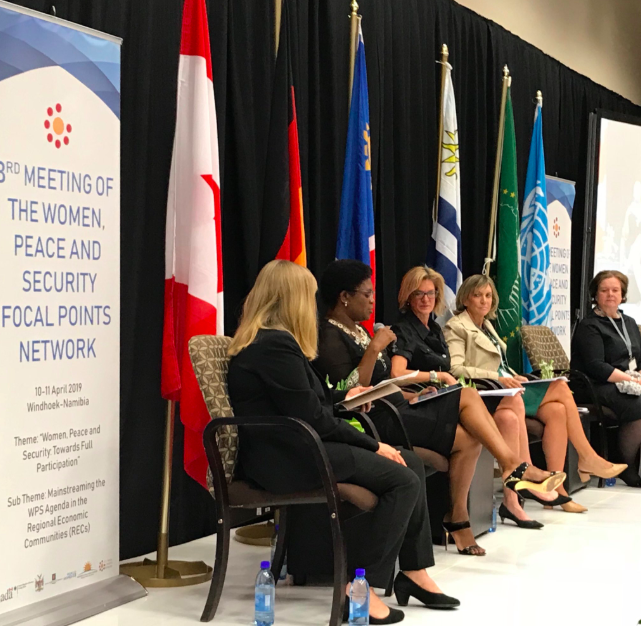 Yesterday wrapped up the two-day Global Focal Point Network’s third annual meeting on Women, Peace and Security. Namibia is officially the first African nation to host such an event. Earlier in the week Deputy Prime Minister and Minister of International Relations, Netumbo Nandi-Ndaitwah, mentioned that this meeting was aimed to further raise awareness and assists the facilitation of the women, peace and security agenda, and was set out to achieve this by formulating national action plans. The gathering was a huge success and had over 150 participants from member states, as well as regional and international organisations. Some of the participants include; Joanna Roper, former Chair of Foreign Office and advocate for Gender Equality; Hannah Bond, Director of No Women No Peace; and Canada’s Parliamentary Secretary to the Minister of Foreign Affairs, Pamela Goldsmith-Jones. The event consisted of four working groups and was set out to focus on sub-themes. "The choice of theme was informed by various factors, among them were our liberation struggle history and the active role played by Namibian women and secondly, the projection of women in conflict situations as mere factors”, said Nandi-Ndaitwah. 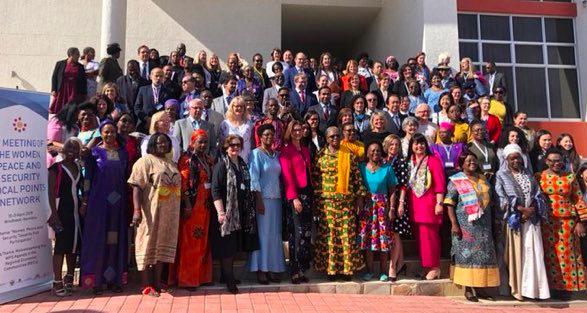 The highlight of the WPS gathering was UN Women Executive Director, Phumzile Mlambo-Ngcuka that delivered a powerful Call-to-Action that is geared towards building momentum for the 20th anniversary in 2020 of UN Security Council resolution 1325 (2000). Furthermore, Mlambo-Ngcuka encourage participants to act and make commitments that amplify the role of women in conflict prevention and peacebuilding. During her visit, Mlambo-Ngcuka will also be involved in high-level discussion with senior government officials to plan the collaboration between the Republic of Namibia and UN Women on the upcoming 25th anniversary of the Beijing Declaration and Platform for Action in 2020.